"The first law of nature is to know thyself. 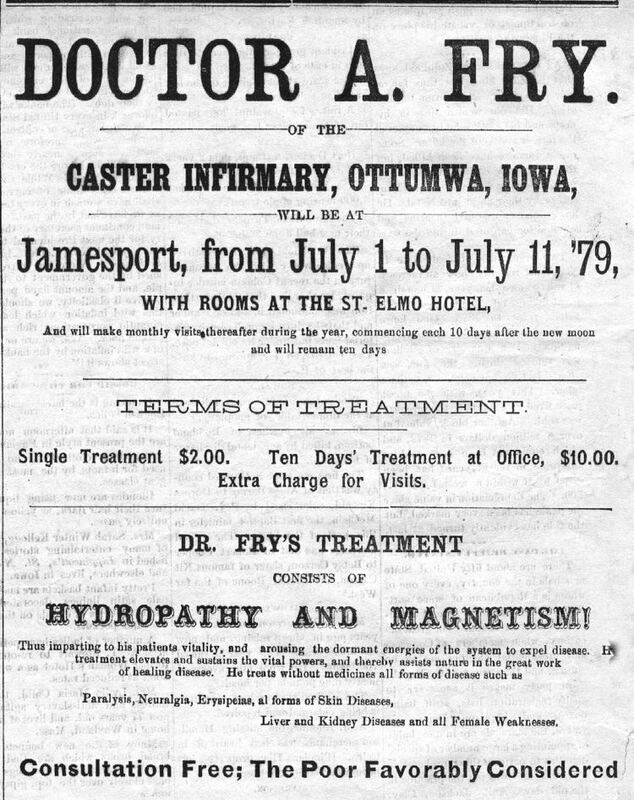 Dr. A. Fry is a natural Phrenologist and Phisiognomist. He will give you a correct delineation of your character, tell you what business or occupation you are best adapted to and what kind of temperament, disposition, character is best adapted to you for a helpmate in life, free of charge. Come and see him."